These renderings are done in different perspective. 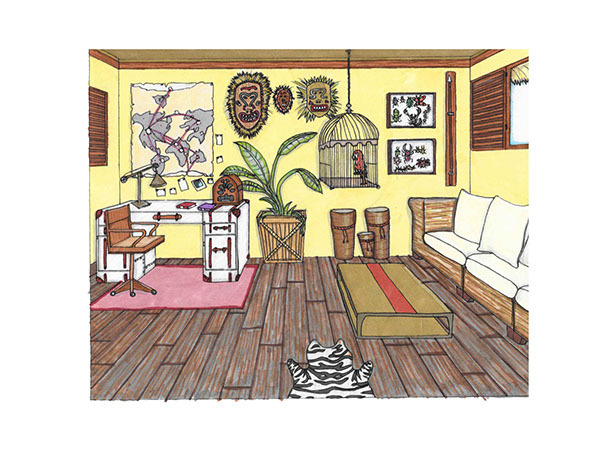 The Safari sketch is done is one point perspective using graph paper and various marker techniques to achieve perspective of the room. 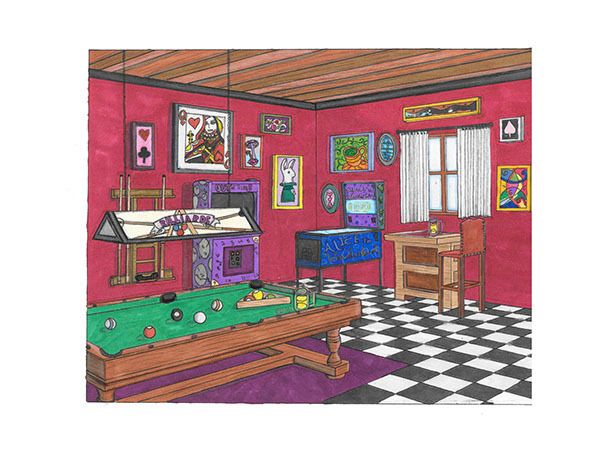 The Alice in Wonderland game room is done using the same techniques but is done in two point perspective.